Whether you are an athlete, pregnant, elderly, or simply suffering from chronic pain, we are confident that our treatment options will help you realize that massage therapy is advantageous. Whether your condition is acute or chronic, we will help assess the cause of your shoulder pain and develop an appropriate treatment plan to resolve it. Along with relieving the actual neck pain, regular massages can keep the joints in your neck and the rest of your body limber and mobile. We offer noninvasive and natural ways to manage and resolve your lower back pain. When you choose Bellesmere Massage, we will first help determine which of our therapeutic treatments will benefit your condition the most. At Bellesmere Massage Therapy we offer several massage treatment options that cater specifically to pain management. Bellesmere Massage Therapy provides concussion management services at our massage therapy clinic. These services are designed to help you cope with the after-effects of your injury. By helping restore proper function to the organs through visceral manipulation, proper physical and emotional balance is achieved. 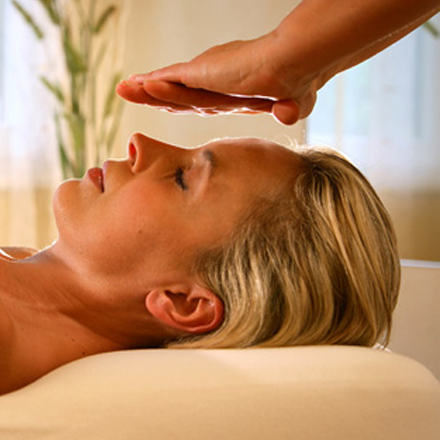 Reiki is designed to treat the whole body, improving both physical and mental function. Craniosacral therapy involves the gentle manipulation of the soft tissues surrounding the central nervous system. We provide a diverse selection of advanced massage treatments at our Scarborough, ON clinic. Visceral Therapy – The purpose of visceral therapy is to release and balance the thoracic, pelvic, and abdominal regions. This form of massage therapy can help with acid reflux, urinary tract infections, irritable bowel syndrome, Crohn’s and colitis, bladder incontinence, gynecological and abdominal surgeries and a variety of other conditions. Structural Integration – This type of massage therapy is designed to release fascial or connective tissue restrictions and improve and restore proper posture and mobility. Structural Integration focuses on why the body is not moving properly and how that function can be restored. Cranial therapy – This therapy involves gentle manipulation of the bones and tissues of the central nervous system (bones and tissues of the skull and spinal column). Cranial therapy is especially helpful for whiplash, concussions and spinal injuries. As it is with beginning any therapy, prior to your advanced massage treatments, your current condition and past medical history are carefully examined by your therapist. At Bellesmere Massage Therapy, all of our registered massage therapists are properly prepared and trained to assess and develop an individualized treatment plan for you. Contact us today to find out more about the advanced massage treatments we provide at our clinic. We look forward to hearing from you and introducing you to the many benefits associated with our advanced treatment options.